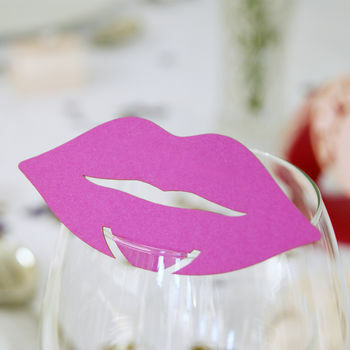 These kissable lip-shaped wine glass name place cards are sure to add an extra twist to your wedding or party! Each butterfly is seemlessly cut from FSC approved card stock and is available in a variety of colours to match your theme. The matt card is professionally duplexed with your chosen colour on each side. These name place cards attach to the rim of a glass and have a slight taper to accommodate different glass sizes. The design can be reversed to match your colour scheme and each card can be easily inscribed using a ball point pen or a silver/gold pen (recommended for darker colours). 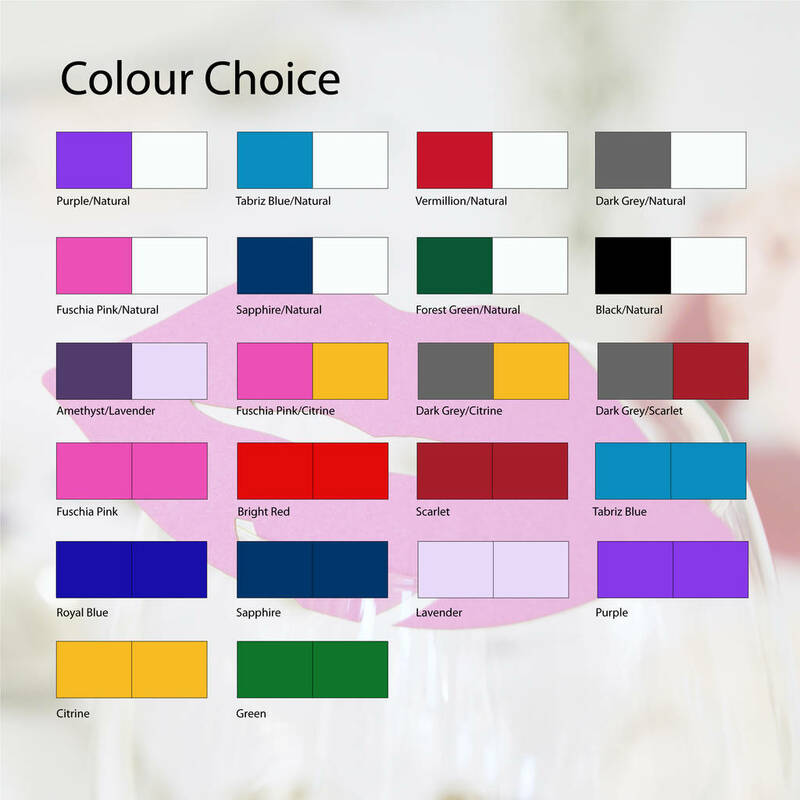 The Lip place cards have a matching Moustache design which you can find in our product list, but we also have a wide range of place cards available.